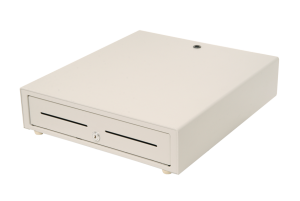 Cash Drawers from Partner Tech are durable, well manufactured and secured for heavy duty environment. 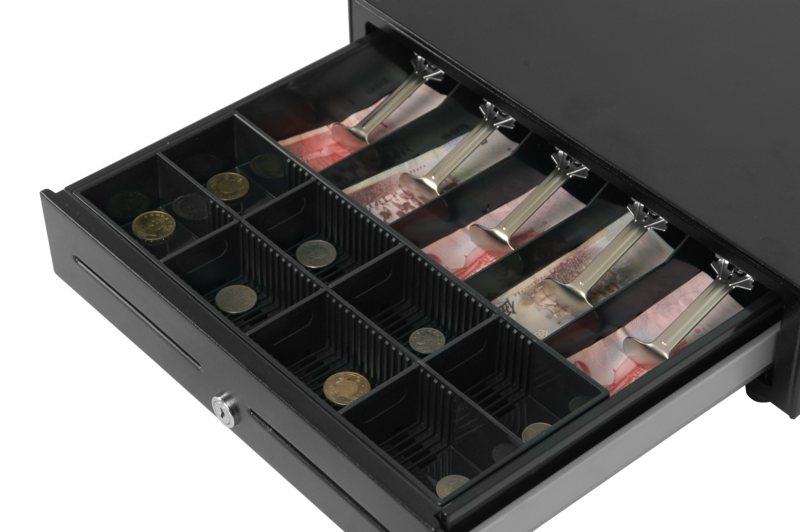 They are available in different colors, split into banknote and coin compartments to meet the available denominations. The 5E415 is a durable, well manufactured and secure cash drawer. 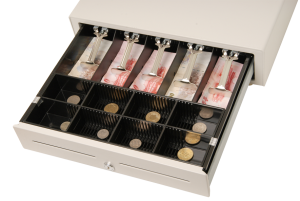 It is intelligently split with four banknote compartments and eight coin compartments. A robust latch mechanism and a proven lock assembly offers security. 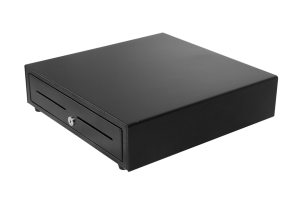 Flexible storage space maximizes efficiency. The 5E415 will provide years of smooth, troublefree service with virtually no downtime and no service required. The cash drawer is available in black and cool white color.